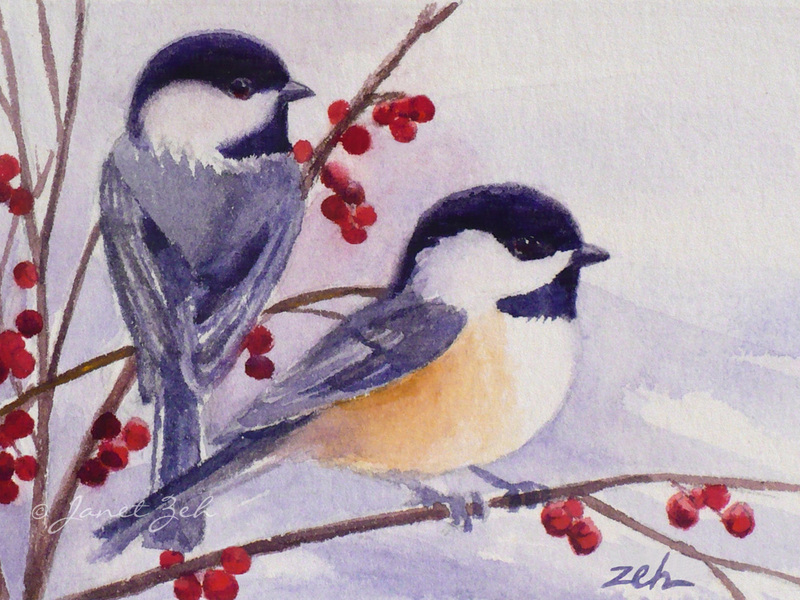 Two chickadees look for berries on a snowy winter day. Black-capped Chickadees comes in several sizes and can be ordered framed, unframed or on canvas. Click the Order Print button below for options and prices.